Police in China’s northwestern city of Xi’An have arrested the founders of a claimed nationwide cryptocurrency pyramid scheme that allegedly amassed 86 million yuan ($13 million) from over 13,000 people. According to a report from local media source Huashang News, Wednesday, the scheme launched in March 28 this year after months in preparation by a primary suspect who has has the surname Zheng, as well as three other accomplices. The report cited an investigation from the police who said the scheme used a cryptocurrency called Da Tang Coin (DTC) that is linked to DTC Holding – a firm under the suspect’s control and registered in Hong Kong – to allegedly hoax potential members of the pyramid scheme. In various promotional events in multiple cities in the country, the scheme claimed that new members can make 80,000 yuan (roughly $13,000) per day with an initial investment of $480,000 to purchase the DBTC at $0.50 per token, according to the report. These promises of high returns stem from both commissions after developing subsidiary networks and potential trading profit once the token was listed on multiple exchanges, the police force said. To apparently make the project appear more convincing, the report said suspects hired a foreign-looking man to be the chairman of DTC Holding in an effort to build its company image as an international blockchain technology startup. A search of the company’s name leads to various reports published by notable Chinese media. These include a China Daily piece from March 21 in which a man named Evgeny Subbotin, cited as the chairman and general manager of DTC Holding, attended a blockchain event in Xi’An. The report further said that the company had touted the potential of DBTC, saying it would be listed on several exchanges such as Shangya, U-Coin and ZB.com. Subbotin was also quoted as promising that the token would eventually be adopted in several real-life use cases including retail payments, hospitality, and education. 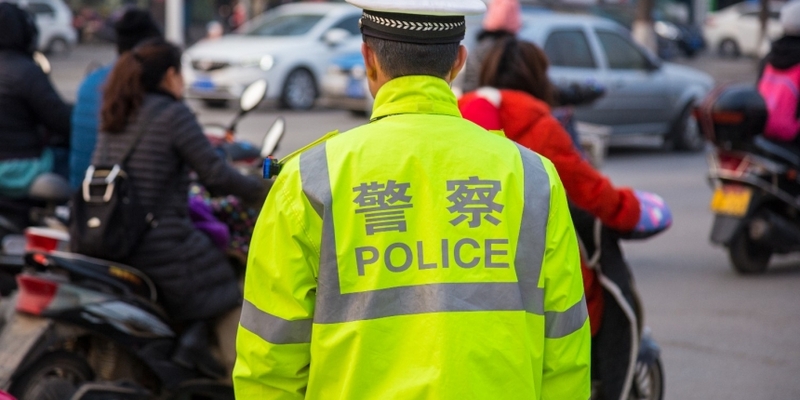 The Xi’An police force reportedly launched the investigation on April 5 after receiving complaints from residents in the city who had become involved in the scheme. The news comes a time when China’s Ministry of Pubic Security, the agency that supervises the country’s police forces, is beefing up efforts to target financial crimes. The ministry said in January that it will continue cracking down on pyramid schemes related to cryptocurrencies.